Don’t Put a Ring on It! A Tool You Already Have! 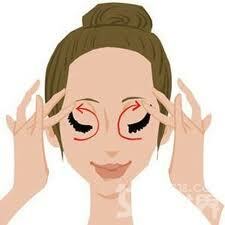 Try using your ring finger to apply certain makeup (concealer,eyeshadow etc.) it tends to be your weakest digit. The index finger tends to be the strongest digit and may apply color too boldly or tug on the delicate skin around your eye, welcoming wrinkles (and we HATE wrinkles)! So even if you don’t have a ring yet…at least your ringer finger is good for something!